Note: The desktop install version of the OnePageCRM Lead Clipper works for Outlook 2010 and 2013 only. For later versions of Outlook try our Chrome Clipper browser extension. 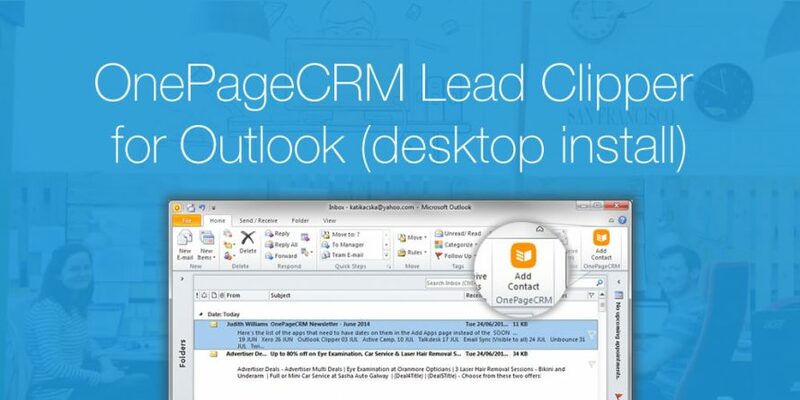 Introducing the OnePageCRM Lead Clipper for Outlook – probably the most popular email client in the world. 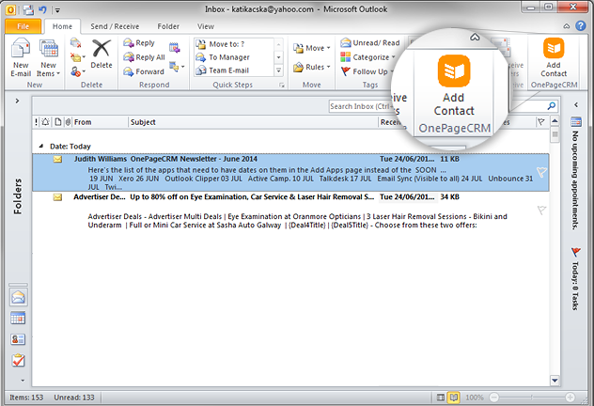 Now you can send contacts directly from your Outlook mailbox to OnePageCRM with just one click! How to enable this integration? 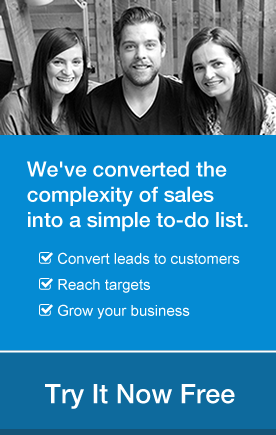 Go to Apps > Apps and Integrations page in OnePageCRM, click the Outlook icon below Lead Generation Apps (if not visible straight away just click Show more apps). Click Install and then Download button in the Configuration tab. Once the Outlook Contact Clipper is installed, restart your Outlook application and look for the Add Contact OnePageCRM icon in the upper ribbon. Select any email and click Add Contact and we will fetch contact data from the email and open a New Contact form in your OnePageCRM account which you can edit if required and save. Watch the video guide below to see how easy it is to install and use the Outlook integration. Does this apply only to Outlook for Windows? Or is it as usual with neary every CRM that users of the Mac platform and Outlook for Mac are left out in the cold? @Craig – only MS Windows for now. We ship apps when ready with minimal functionality, rather than wait for them to be fully-featured and on all platforms. This is a relativity new feature. Any sign of the Mac version yet? Hi Steven, unfortunately we are not prioritizing this at the moment. I’ve added you to our notifications list if this changes in the future. Thanks, Brian. Can this feature or a related feature pull the emails direct from outlook so they are visible on your platform under each contact? Hi Reg, at the minute this feature does not pull into your account but we are looking at something to this effect for the future. Right now, we do have an Email Dropbox feature which you might be interested in looking at: http://help.onepagecrm.com/article/187-how-to-use-email-dropbox-address. Tried to instal and use this today but the app is actually closed for beta testing. Please email me when it becomes generally available. Hi Tim, we’re working on the beta testing at the moment but will make contact once it’s released thanks. Is this app fully functional now on Outlook 365? Any updates on Outlook for Mac? Thanks for reaching out! Right now we do not have plans to update this feature for Mac but I’ve added you to our notifications list for future if we go down this route. Please add this add-in function so I can import an Outlook Contact directly from the Outlook Contacts section without having to have an email from the client. Thanks!!! I’ve taken a note of this request for the next review on this feature. I’ve also added your name to our notifications list if we decide to proceed with it. Why no clipper functionality on Outlook 2016? Other services–Evernote and Todoist, for example–have such functionality through current versions of Office. Thanks for your comment. Outlook 2016 is not something we get a lot of queries about for our clipper but it is something we’ll be looking at as an option soon. I’ve added you for notification if this goes forward. Thanks, Brian.